Spittoon Watch | All May Speak Their Minds? It’s recently been International Mother Language Dayat the UN. Who on earth was behind this stupid idea? ”The idea to celebrate International Mother Language Day was the initiative of Bangladesh. In Bangladesh the 21 February is the anniversary of the day when Bangladeshis fought for recognition for the Bangla language”. ”Bengali language is the only language in the world for that people sacrificed their lives. Still the histories of love, devotion and bloodbath for the right of speaking in Mother tongue inspire all the Bengalis. A sign of bottomless reverence and remembrance for such a right, UNESCO declared 21 February as International Mother Language Day on 17 November 1999. Since the day 21 February has been observed as the International Mother Language Day in tribute to the Language Movement and the ethno-linguistic rights of people around the world. Bengali belongs to the Indo-Aryan dialects like other eastern Indo-Aryan languages. Standard Bengali used in two literary styles. One is called classical language and other is current language. The classical literary style is a creation of 16th century literature and the modern style has been cultivated by the contemporary inhabitants of Bangladesh and West Bengal (Calcutta). Both the National Anthems of Bangladesh and India were composed in the Bengali language by Rabindranath Tagore, first Nobel laureate in Bengali literature”. 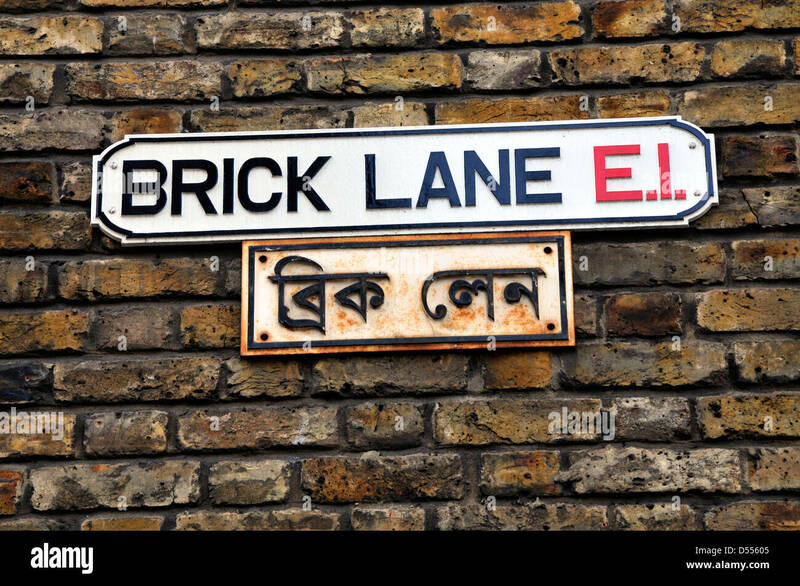 This extremism has become so widespread that even in places where Bengali nationalists have settled abroad (such as East London) they demand street signs in Bengali. As we known Spittoon’s Faisal Gazi is a major extremist when it comes to the Bangla tongue . He reveres it as a Muslim reveres his creator Allah swt. So how amazing is this language that ”millions” laid down their lives to speak? Well the answer sadly is not at all. Bengali is a totally crappy useless language. So how does Bengali compare with the language that it replaced , Urdu , or the language used by religious Muslims , that Faisal Gazi despises, Arabic? Urdu, a language full of beauty and grace, a language that seems to have been custom-built for literature, a language that adds meaning to prose and charm to poetry, a language of elegance and polish, a language that marked the dignified from the unlearned, the noble from the ordinary, a language that belonged in the courts of the powerful, in the schools of the wise and the homes of the erudite, a language that might have past the zenith of its splendour, but is still spoken by a many and sold to a many under many a different name. 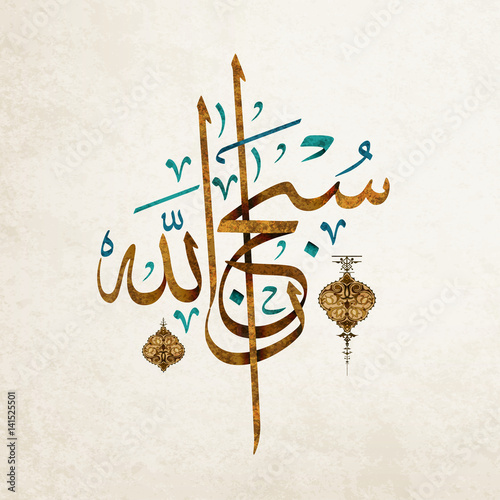 And what of the greatest of all languages Arabic? That’s Not In The Script ! So who can blame the brave Pakistani state and its brave Pakistani army for trying to remove such a hideous language and replace it with a superior one? As we know Abu Faris the hideous Islamist loving (he lived in the Sudan) , contributor to the Times of Israel is rather taken by the extreme anti-Muslim rag Front Page regularly posting articles attacking ”Islamists” from it. So how does Front Page feel about Mr Jefferies and his people, the gypsies? Sadly it seems the love is not reciprocated. They have a published an article by anti Muslim bigot Bruce Bawer about Abu Faris’ people. It’s not very complimentary. Last week, people in the U.K. got to take a break from worrying about the Islamization of their country. Instead they were offered a fresh chance to ponder the massive influx into the scept’red isle of Eastern European gypsies – or, to use the politically correct term of the moment, Roma. First, Labour Party MP and former Home Secretary David Blunkett, in a rare departure from the usual see-no-evil establishment rhetoric, acknowledged the “frictions” between gypsies and natives and worried aloud that it would eventually kindle riots. “We have got to change the behaviour and the culture of the incoming community, the Roma community, because there’s going to be an explosion otherwise,” Blunkett said. “We all know that.” The next day fellow Labourite Jack Straw, also a former Home Secretary, agreed, admitting that he and his colleagues in government had made a “spectacular mistake” in 2004 when they permitted unrestricted labor immigration from new EU member states in Eastern Europe. (The only other countries to do the same were Sweden and Ireland.) Straw & co. thought that only 13,000 people would come; the number turned out to be more than a million, with a quarter million immigrants arriving in 2010 alone. Alas, in addition to the hundreds of thousands of Poles, Czechs, and others who moved to Britain in sincere search of work, there was a small army of gypsies who came to beg, steal, and freeload. Until recently, to be sure, things didn’t seem as dicey in Britain as in France, where gypsies have established sprawling encampments in and around major cities, all of which have turned, in no time at all, into ordure-suffused, rat- and lice-infested trash heaps. And whenever officials, if only out of concern for the public health, have tried to get the situation in hand, the media have served up sob stories like one put out by the Associated Press last year: “The camps weren’t much to begin with….Rats ran rampant and fleas gnawed on young and old alike….But they were home – and they were better than the new reality for thousands of Gypsies who have been forced into hiding after France launched its latest campaign this week to drive them from their camps.” Rarely, it seems, do the journalists responsible for this sort of drivel ever ask the gypsies questions like: “Um, if you’re going to live in this place, why can’t you at least try to keep it sanitary?” No, it’s almost always either implied or stated outright that, if the gypsies live in such filth, it’s because they’re poor and oppressed; virtually never is it acknowledged that this way of life is a fundamental element of gypsy culture. Gazi’s reaction: he of course as a strong defender of free speech welcomes this …err no …instead tries to get Spittoon Watch banned and then complains about people attacking his holy things …”when I say freedom of speech all may speak their minds…I don’t mean you can attack things I don’t like. If you do I will play the pity/victim card. I can post Muslims private marriage adverts (AbdurRahman Jafar) and Facebook pictures ..but YOU can’t ” While I will hold you as a Muslim to Islamic rules of not insulting I am not bound by any such rules! See how fair and balanced and ‘secular’ I am! To summarise Gazi’s argument: You Muslims MUST have adab and never insult we Munafiqs in any way (especially during Ramadan ! )….however we can insult you in any way we like. We only see hypocrisy in our opponents never ourselves !!! ”Ultimately the Asharites, the theologians, won the day, the legacy of which affects us to this day. Traditional Muslim societies would henceforth place less spiritual value on philosophy, rational thought, and free thinking, and, perhaps most unfortunately of all, the forces of absolute power began to regard religion and state as inseparable entities. Ironically, the orthodoxy of today reject the ideals of the Enlightenment such as personal liberty and freedom of speech in a kind of perverse echo of the Asharite position of medieval times”. and how did ‘Muslim’ Faisal Gazi react when Ayesha the mother of the believers was insulted ? Of course he supported THAT! In the last third of the book in, Malik delves into the restrictions of free speech in the post-Rushdie world. As Hanif Qureishi puts it, “Nobody would have the balls today to write The Satanic Verses, let alone publish it. Writing now is timid because writers are terrified”. He is probably right when you consider the Muhammad cartoons scandal and Random House’s decision to retract the publication of Sherry Jones’ novel The Jewel of Medina, based on a message thread on an online discussion forum. Questioner: Dearest Maulana Sahib I love saying my Namaz however during the prayer I often get distracted by thoughts of shaytan. Maulana: Hmm …even in Ramadan? …thats interesting..could you give an example ? Our advice: Offer Prayer and drive Satan (Gazi) crazy…he hates seeing Muslims practice Islam it reminds him what he is missing and of the God-shaped hole he hasn’t filled. Astonishingly the immature, juvenile, tantrum-throwing head of Spittoon Faisal Gazi recently turned 50 years of age. No doubt this landmark on his way to meeting his Creator has caused him to drown his sorrows. KARACHI: Commenting on the Bangladesh government’s claim that three million Bengalis were killed during the military operation that Pakistan Army started in March 1971, Sarmila Bose in her ‘Death Reckoning’ writes that history of Bangladesh is the history written by the victors of war. While falsifying the highly exaggerated Bangladeshi and Indian claims about the deaths of Bengalis, Bose in her monumental work on the 1971 war notes that the only group whose killing could qualify the definition of genocide were non-Bengali residents of East Pakistan. According to the whitepaper published in March 1971, around one hundred thousand non-Bengalis were killed in various parts of East Pakistan till that time. However, the later estimates based on the post-April counting suggest that the total number of non-Bengalis killed by Mukti Bahini was around two hundred and fifty thousand. While sporadic killing of non-Bengalis took place all across the former East Pakistan, their mass massacres took place particularly in Jessore, Isherdee, Chandragona Paper Mills of Chittagong, Admajee Jute Mills of Narayanganj and Santahar of Rashahi. In remembrance of the martyrs of these massacres, The Express Tribune presents accounts of a few survivors. Haji Ehsanullah was 19 years old when his neighbourhood in Loco West was attacked by a Bengali mob on March 26. He says he along with his father, mother and wife jumped into a relative’s house and hid in a bathroom. “When the attackers were gone, we first went to a graveyard and spend the night there. 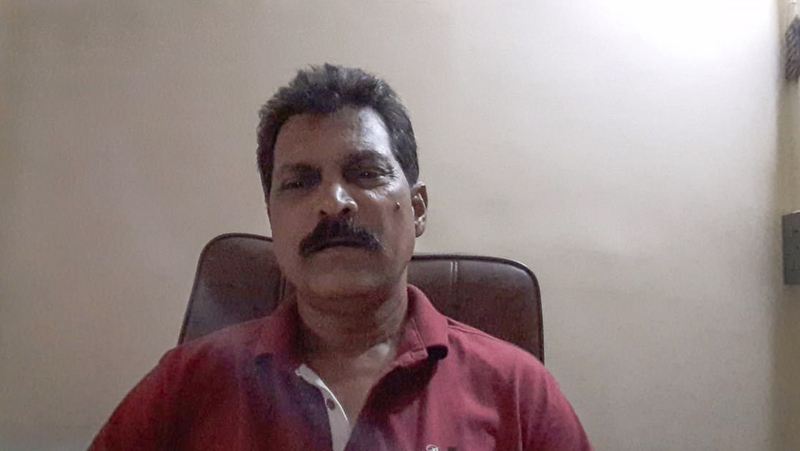 The coming days were spent in Ghorahaat, Santahar Railway Station and Station Colony,” he adds. Ehsanullah remembers how on the morning of April 17, the Mukti Bahini launched its final assault against the unarmed residents of the colony. Ehsanullah says the same Bengali, Aakaash, again came to him in the afternoon, offered him some food and gave him address of his sister, who lived in the town of Ontahar. Ehsanullah says he somehow managed to get to that place, where he was given refuge until arrival of Pakistan Army on April 22. “When I returned to Santahar, in search of my family, I could not find my parents, but my wife was alive. The killers had slit her neck but she had survived as the wound was not deep enough,” he adds. 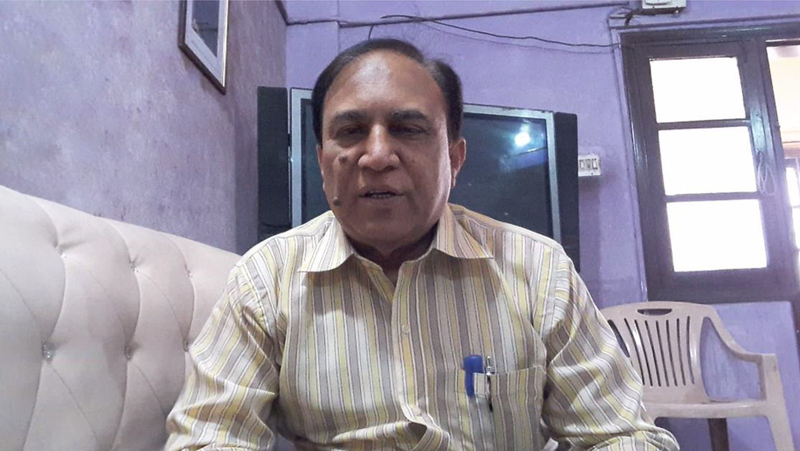 Dr Jameel Akhtar, who now lives in Shah Faisal Colony of Karachi, says his entire family – comprising his parents and 10 siblings – was killed in the April 16 massacre at Railway Colony. Dr Jameel says he then started moving towards Naogaon. “But on that way, I encountered with another group of killers who had put on display half a dozen human heads. They asked me who I was. I told them that I am a Bengali. The asked me as to what was the slogan for that day. On my way, I had seen a slogan written on the walls. I told them it’s ‘Amar Desh, Tumar Desh, Bangladesh, Bangladesh’. I was fortunate, they let me go,” he says. 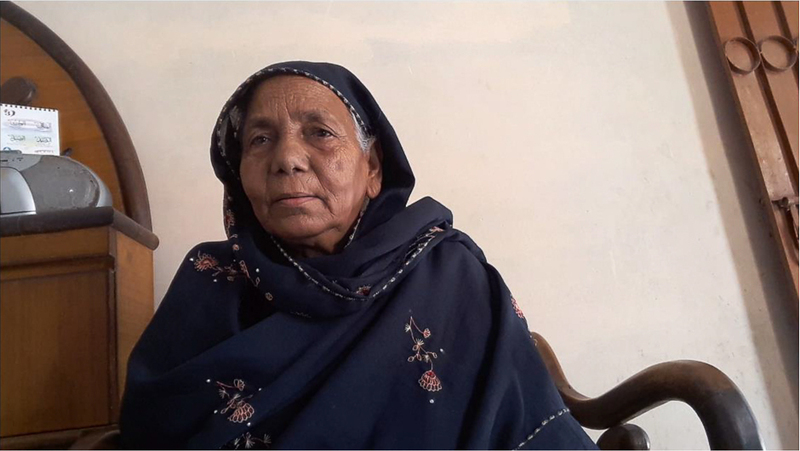 Bilquis, who now lives in Karachi’s Orangi Town, was a married woman with three children in 1971. She says when the Bengalis started attacking different neighbourhoods, her husband decided to move along with the family to the factory of Gramophone beri-wala. “Here the hooligans of Mukti Bahini came and picked up men who were often slaughtered outside the factory. My husband was also among those who was killed outside that premises,” she reminisces. Bilquis says despite all the killings in and outside the factory, she and her family remained in that building until April 17 when Bengalis asked them to move to the Railway Colony. “I along with other women was being driven to the station when a Bengali man, who knew my husband and called me her sister, came to me and told me in whispers that I should not go to the station as all people were being killed there,” she says. Bilquis says the other women who had left the factory with her were brought to a pond where they were slaughtered. “I was, however, fortunate that I remained safe and also found my children alive,” she adds. 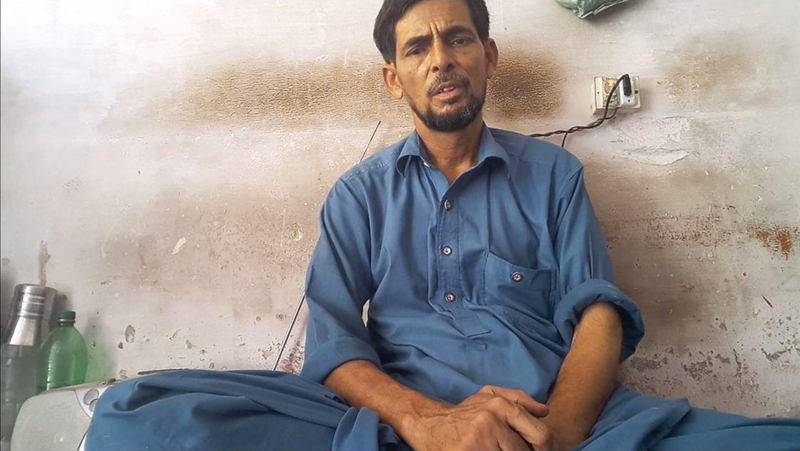 Irfan Ulllah Siddiqui was a little kid when his family was massacred in the Station Colony on April 17. “My family comprised my parents, six daughters and three brothers. All of them were killed. 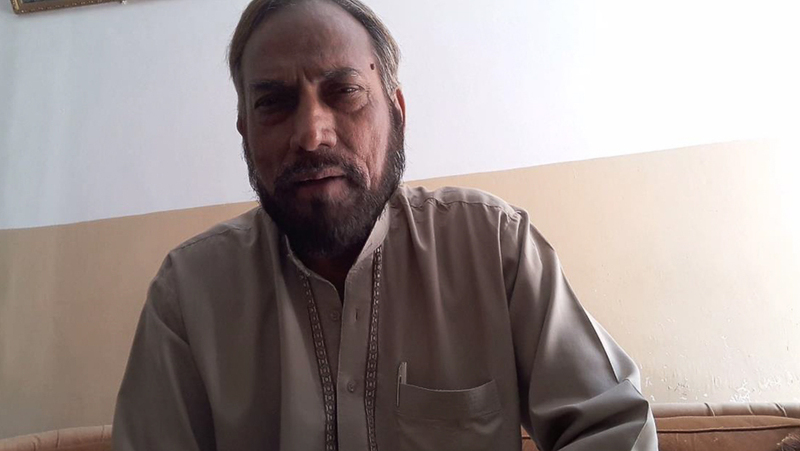 I was 6-year-old at that time and managed to survive as I hid beneath the bodies of my family members,” he recalls, adding that it was many days after the massacre that he was discovered by her aunt who lived in Saidpur and had come in search of survivors of her family. Muhammad Qurban, who now lives in Karachi’s Malir area, was 19 years old in March 1971. 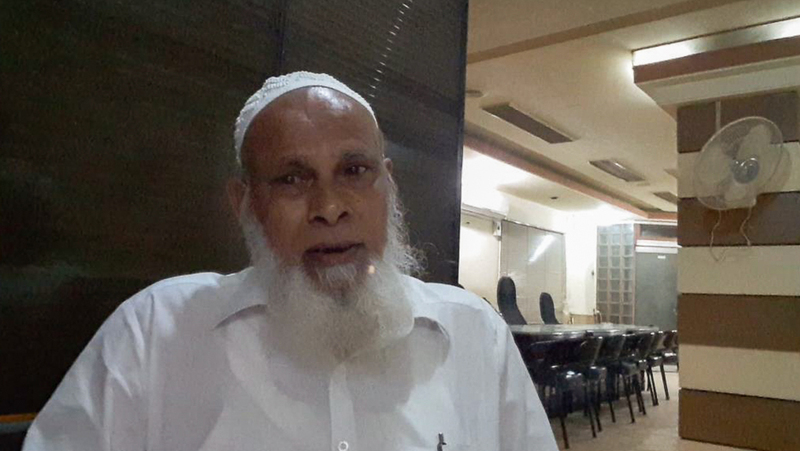 He was among the people who buried the victims of the March 27 killing at Chaibagan Mosque. “My family had moved to the railway station after this attack. However, on April 2, I left the station and somehow reached Naogaon,” he recalls, adding that he stayed at Naogaon until the arrival of the Pakistan Army. “When I returned to the station in search of my family I could not find them anywhere. Survivors told me that my entire family, including my parents and five siblings, had been hacked,” he says. Ashraf now works as a tailor at Karachi’s Orangi Town. He was very young when the turmoil started in Kalsagram. “My father, who was in the police, never returned after March 26. I can’t tell the exact place but my mother was also killed during the massacre,” he narrates his ordeal. Ashraf says he was later shifted to some other location along with 50 to 60 children who were taken care of by some Bengalis. “These children were later rescued by the Pakistan Army. My elder sister lived in Dhaka. She found me in the army’s protection and took me along to Dhaka,” he adds.